Sources tell us that teens are into a lot of totally-rad stuff like skateboards, dank memes, and dabbing. Notably missing from that list? Self-driving cars. 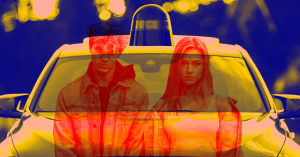 It takes a lot for people who still needs their parents to drive them to their dates to pass on autonomous vehicles, but that’s exactly what 56 percent of 764 teens polled by State Farm insurance said, according to CBS News. To be fair, the poll was taken among the narcs of the teen world: members of Students Against Destructive Decisions, a group that fights underage substance abuse. According to CBS’s article, chief concerns included the lack of steering wheels and brake pedals fully autonomous vehicles. Without those standard features, some of the teens felt hesitant to give full control over their safety to the self-driving car. No matter how safe self-driving cars may become, this poll illuminates an often-overlooked challenge for autonomous vehicles: actual human interest. In addition to the many technological and political hurdles on the path towards a world of AVs, we can’t forget to address the needs of the people who will be riding in them. That means that solving problems like motion sickness in people who are used to driving, and convincing passengers that their lives are in good hands, will need to be just as high an industry priority as actually getting the cars to work right.